STOMPGRIP Dirtbike Traction Seat Covers have been developed to provide immediate responsiveness through better contact with your bike. 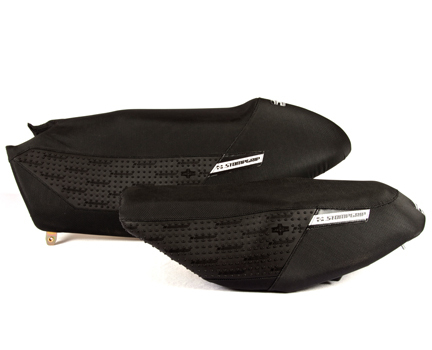 They also provide unequaled durability needed for tough conditions and today's aggresive riders. The gripper seat cover material is mated with pre-molded traction panels that are specifically placed to assist rider control, to reduce arm pump and to conserve energy. Traction Top Stripes can be added to customized products for increased control and performance. 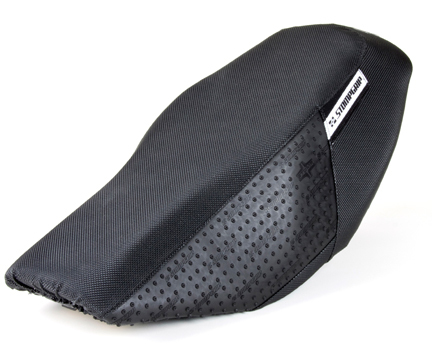 All Dirtbike Traction Seat Covers are available in stock Black. OR YOU CAN CUSTOMIZE IT! 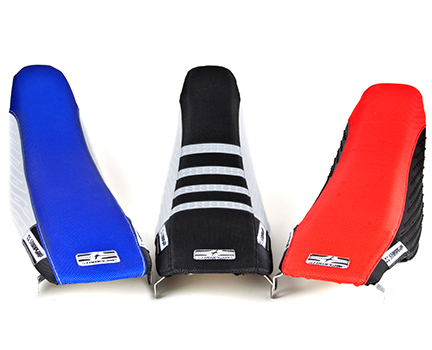 Check out our store to customize your very own Dirtbike Traction Seat Cover today. 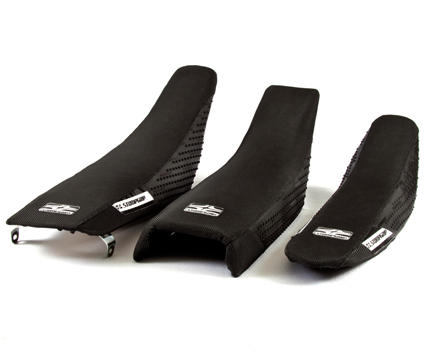 STOMPGRIP Traction Seat Covers for Snowmobiles have been engineered to provide a solid connection to your sled and provide unequaled durability in winter environments. The gripper seat cover material is mated with pre-molded panels that give you better control and handling of your sled, equaling less fatigue and a longer day in the snow. All Snowmobile Traction Seat Covers are available in stock Black only.